Quality and compliance are both crucial components of the manufacturing process; but, it’s important to differentiate the two. Quality is defined as products and services that deliver intended performance, while compliance is defined as meeting regulatory requirements. The strategic goals of most manufacturing companies include manufacturing competitive products, operating profitably, and growing their business in an environment of increasing globalization and elevated product development costs. In order to accomplish these goals, factories need to distribute quality and compliant products. So, let’s dig a bit deeper into what this means. When measuring quality, factory managers identify the intended function of the product in order to meet customer specifications. When making sure products are compliant, manufacturers must abide by state and federal regulations. Manufacturing compliance comprises the technical, legal, and corporate requirements, regulations, and practices manufacturers must comply with in order to produce and market products. 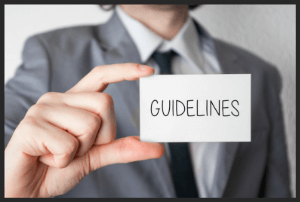 Products must abide by these regulations in order to be considered compliant. It is possible for products to have the same compliance but different quality. This would be the case if two of the same type of item followed regulations but one of the items didn’t function that way it had been intended to. So, the two terms do not have the same meaning; in fact, they are clearly different, yet both important. Now that you know that products must abide by these regulations, what do you do if they don’t? Download this free whitepaper and learn how to deal with crises management, industry top tips, and more! When a quality problem happens - and they will - how you approach the problem makes all the differences in successfully squelching it. Learn how to deal with the problem at hand, see potential quality gaps throughout your supply chain, and take proactive measures to avoid future problems. We'll send you the latest trends, case studies, research, and statistics.